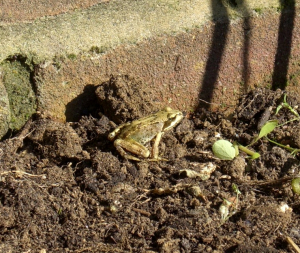 Observation - Common Frog - UK and Ireland. Description: Pretty sure this is a frog and not a toad this time! Another migrant from next-door's pond I think. Pretty sure this is a frog and not a toad this time! Another migrant from next-door's pond I think.